Supple Magazine » Do You Need AN EDUCATION in Seduction? Do You Need AN EDUCATION in Seduction? 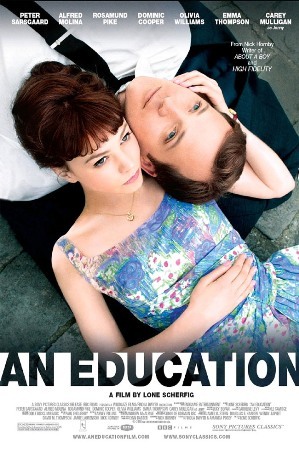 If you do, then you have to see the typical British romantic film Sony Pictures AN EDUCATION directed by Lone Scherfig and written by Nick Hornby. When the British Empire was losing her colonies in Africa, Jenny, a 16 year old school girl living with her parents in London wanted to attend Oxford to have the best education that would give her a better life than her parents. But her father was not happy with her over Latin and going out with a social misfit named Graham until Jenny met David Goldman an older man who convinced her parents that he was only going to improve her education in socio-cultural life style. But Jenny learnt more than she bargained for. You have to see the film for the rest of the story. An older man dating a younger woman is a popular theme in movies since Snow White and the Seven Dwarfs. See Jurassic Park, The Firm and In the Line of Fire.